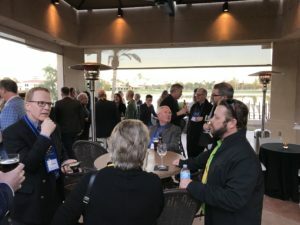 Another conference has come and gone, and this may have been the best conference to date (or so we were told). 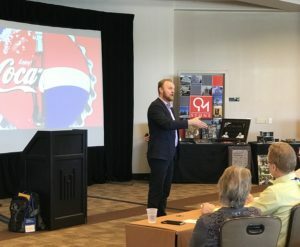 Our annual conference focuses on education, hospitality and building relationships with our peers. Here’s a recap of the event! 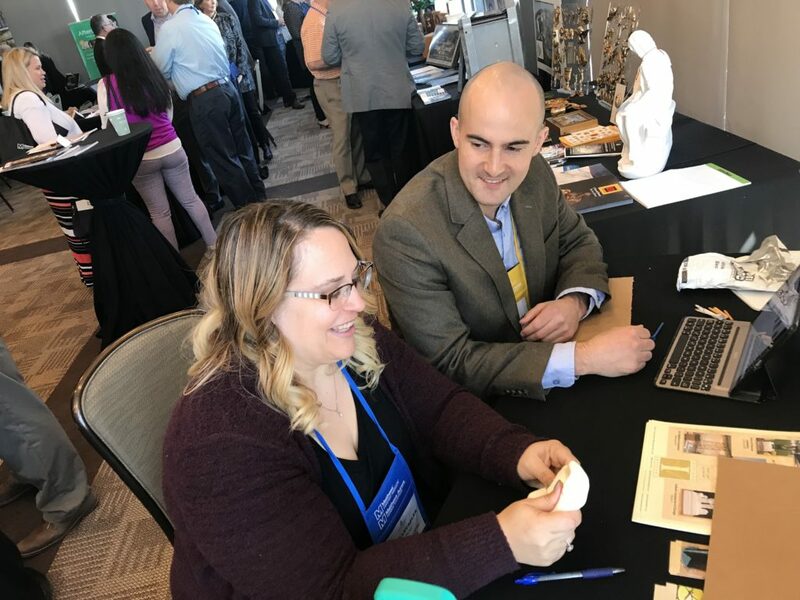 The 2018 educational focus was creating exceptional customer service, building successful businesses and the importance of Catholic Faith and the Funeral Rite. Our first speaker, Jake Johnson, reminded us that our cemeteries are still a business and must be treated accordingly, all while providing exceptional service to our families. Your staff must be on the same page…how often do you have staff meetings? Do you survey your customers? You should always have a plan, successful business operations will have strategic planning sessions that is refreshed annually. Jake gave our attendees tips on making these planning sessions efficient. He spoke on growth, budgeting, advertising, and how you can score your business on the JCG Value matrix. Poul Lemasters has a knack to make us laugh and drop some knowledge about our industry. One attendee says “He is consistently up to date on issues effecting our industry and is always relevant with information to keep in mind to improve our operations.” While the fact that death is inevitable, we are kept on our toes with the changes in final disposition, regulations and of course the people factor. Switching into the ministry side of our convention, Fr. Tom Enneking spoke onThursday about the Beauty of the Catholic Funeral Rite. 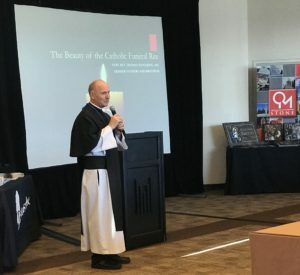 He touched on the history of the funeral in the Catholic faith, the values that surround Catholic funeral practices, the ministry of Consolation and comm Liturgical elements. With the some Catholics losing their sense of the sacramental, it is more important than ever to communicate the importance of these funeral services and their ability to celebrate the life of their loved ones. Our final speaker, Dr. Ryan Hanning, presented his research based tools that “it the heart of what we are doing”. He provided insights that every Diocese can and should apply to engage with parishioners and how to connect with Catholics in all age demographics. 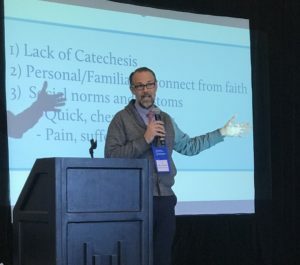 He presented statistics that shows that not only are Catholics still attending mass, it’s not just older parishioners. However, only a small percentage of those active Catholics have a Catholic Funeral. Ryan gave us pointers on how to integrate the Catholic Funeral into the sacramental life of each Catholic. CCFW is hoping to have our speakers return in 2019 to update and continue the discussions that began at January’s conference. Be sure to join us in Napa to hear these engaging and informative speakers! The first night, CCFW President hosts a welcome reception so that attendees can have a casual environment to reconnect with friends and colleagues and meet first time attendees. 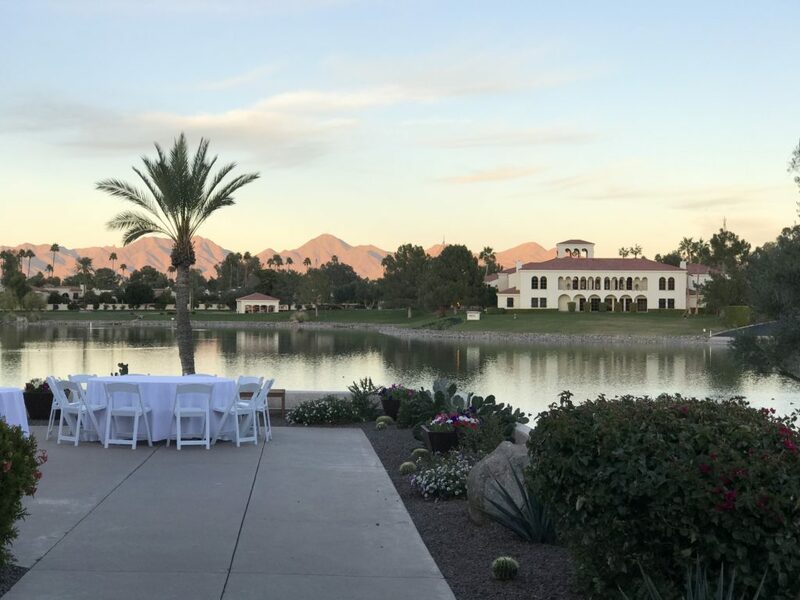 We were set on the beautiful Scottsdale McCormick overlooking the lake while the sun set on the Sonoran Desert. It’s important to the board that while at the Conference, no one has to dine alone on any of the nights. 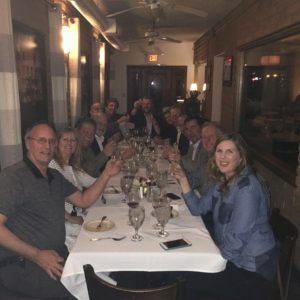 We created a list of those who don’t have dinner plans and then made a group reservation at one of Scottsdale’s fine restaurants. Our dinner group on Wednesday night had a blast enjoying Italian food and great conversation. Even learning about one of our very own’s experience as a the Red Sox organist! I’m excited for the dinner experience in Napa in 2019…maybe our group will continue to grow! One of the goals of the CCFW Annual Conference is to develop and foster relationships between peers, colleagues and our suppliers. New in 2018, the CCFW board introduced “Vendor Face Time”. A concept developed to make sure that each attendee had the chance to meet and converse with every vendor. 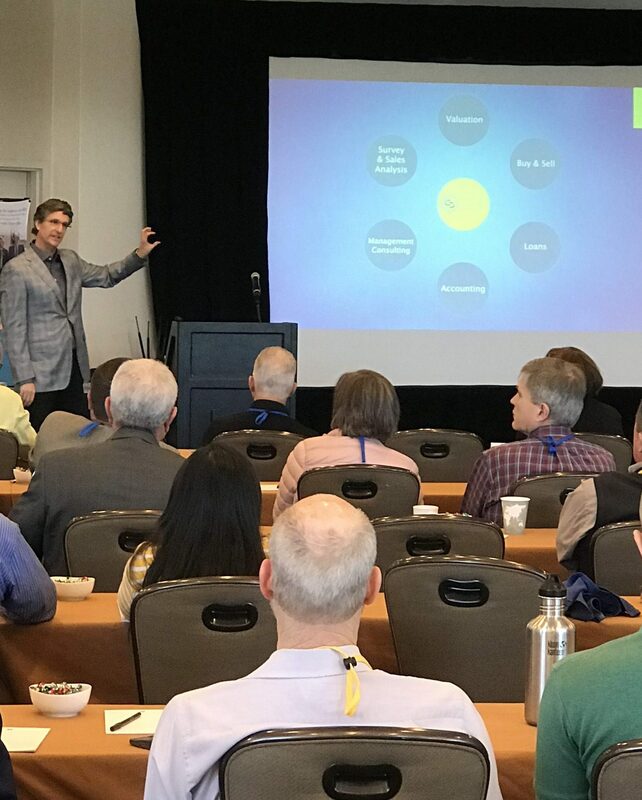 More often than not, we are not able to make it around the room at a conference, therefore we miss opportunities to learn and speak with our valuable vendors. For 1.5 hours, attendees had scheduled 6 minute meetings with half the vendors each day. It was timed and was fast paced, but it was fun and very well received by both our suppliers and the attendees! The suppliers had games and entertaining presentations for the attendees, as well as prizes to give out at the end of the sessions. We are excited to bring this session back in 2019 and continue to improve the experience for all! Our banquet dinner on Wednesday night boasted relaxing acoustics, a beautiful outdoor venue on the lake and fun yard games. There were prizes to be won and delicious food to eat. Everyone had a great time and hopefully everyone took home their Save the Date CCFW Wine Sealers! 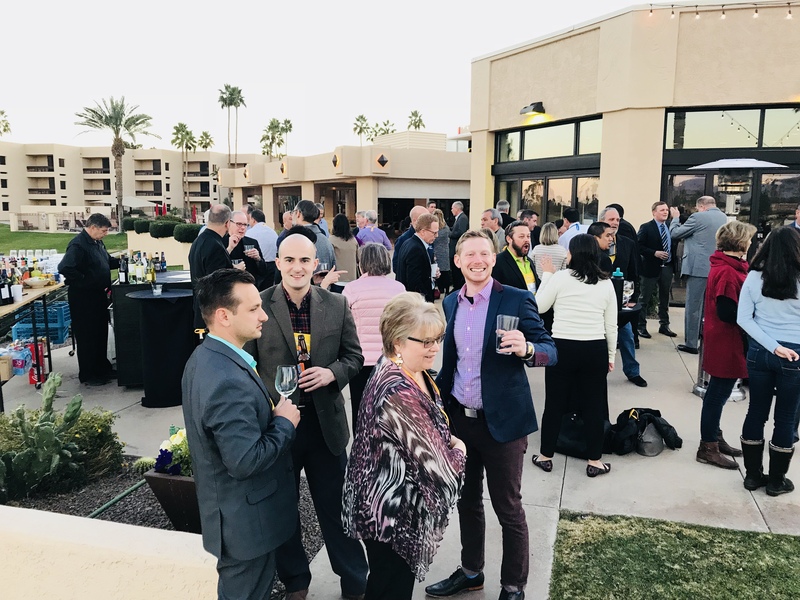 Thursday was the last day of our conference and it was time meant for relaxing with friends and experiencing a little bit of Arizona. 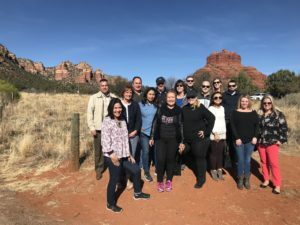 A group went up north to beautiful Sedona and we had another group play golf on a PGA approved golf course (not far from the Waste Management Open). Both events were enjoyed by all and we hope more will stay in Napa for this important time of networking and relationship building. Thank you to all who attended. 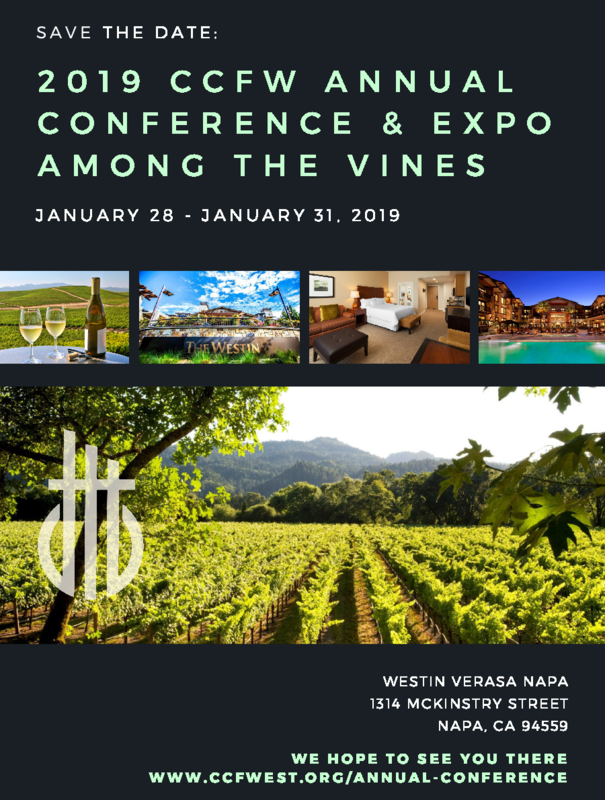 If you were unable to come to the 2018 Conference, we hope to see you in Napa in 2019! Mark your calendars now! For more photos of the 2018 Annual Conference, please visit our Facebook Page!